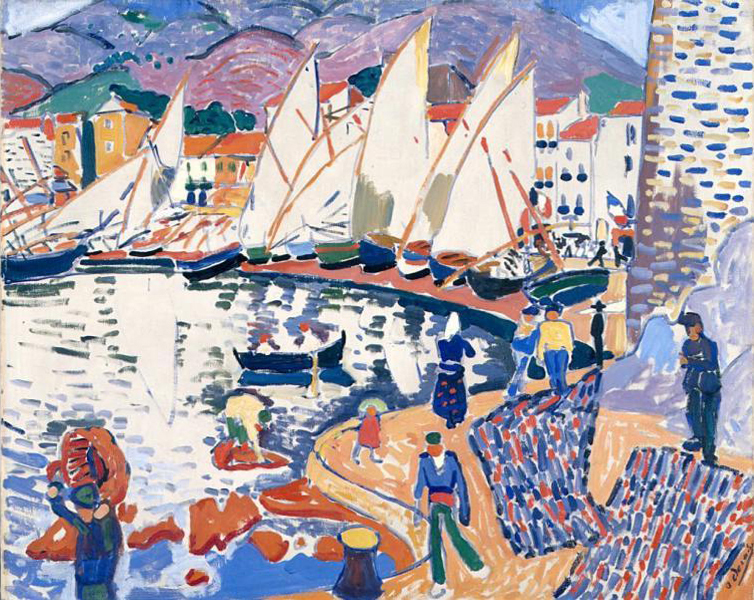 André Derain, 1905, Le séchage des voiles (The Drying Sails), oil on canvas, 82 x 101 cm, Pushkin Museum, Moscow. Exhibited at the 1905 Salon d’Automne. before the oceans were charted. the ocean, purple, sky, mauve. I was seeing with my eyes. atop a burnt brown ground. I thought my Grandfather’s pipe. pressing me against the railing.